If you read last week’s post you are now up to speed on the benefits of a professional facial and why you should have one regularly. If you missed that post you can read it here! As with any beauty service, each salon and spa’s offering is unique and different. That’s why we wanted to share what goes into a facial at Garbo’s Salon and Spa and a few tips on how to ace your next appointment. Enjoy! When you first arrive your esthetician will greet and introduce themselves while leading you to one of our spa rooms. After you are situated comfortably on the bed you and your esthetician will talk about the skin challenges you are having and your goals for the appointment. Your esthetician will also ask about any allergies you might have or any medications you might be on – both of these things can cause negative reactions to some of the professional products that are used during the appointment so it is important to be open and honest during this part of the conversation. Once the esthetician has a better understanding of you and your skin she will begin the treatment by selecting an aroma infusion to be used throughout the service. At Garbo’s we use Aveda’s Air/Infinity, Fire and Water/Earth blends. 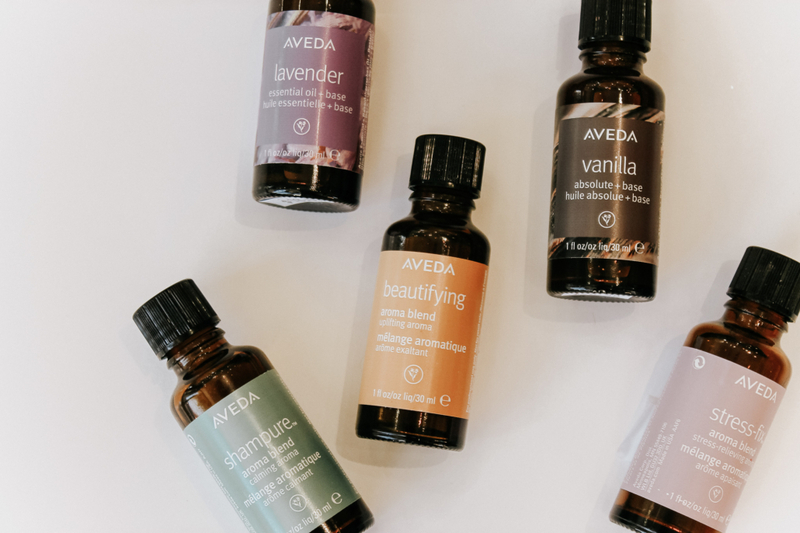 During these first steps, the esthetician will prepare the skin for cleansing by using Aveda Oleation Oil or Aveda Composition Oil. After the skin is prepped, a balancing cleanser will be used to clean the surface of the skin. A hot towel is then used to wipe this away. After your skin is clean your esthetician will analyze the skin to determine which Aveda products to use in the following steps. 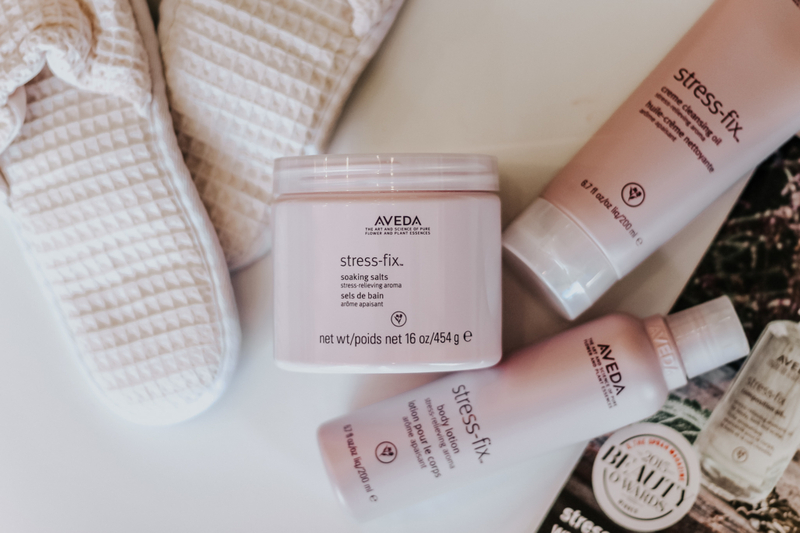 There are many products to choose from to exfoliate the face – a few of these include the Aveda Botanical Kinetics Radiant Skin Refiner, Aveda Peel System or the Aveda Tourmaline Radiance Mask. A facial at Garbo’s Salon and Spa includes two forms of exfoliation. Your esthetician will choose the right ones for you depending on your skin type and the goal of the facial. Throughout the exfoliation process, the esthetician will include a foot, hand or scalp massage to further relax you. After the exfoliation stage, the esthetician will move on to the extraction phase. This step is added based on the client’s needs. Extractions can be uncomfortable at times but the esthetician works hard to minimize the discomfort. It is important to allow a professional to do extractions instead of trying to do them at home as this can result in negative affects on the skin. One of my favorite parts of a facial is the facial massage. After the harsh exfoliation and extraction phase, your skin needs time to balance and recover. Oil is applied and the esthetician smoothes it out over the face while gently massaging it into the skin. Once this step is complete a hot towel is used to remove the excess oil and prepare it for the final mask. The last step in our facial is the final mask and moisturizer. A hydration mask is typically used as the final step in the facial service but the esthetician can choose a different one depending on your skin. A final hand, foot or scalp massage is added while the mask works its magic. Once removed with a hot towel, the esthetician will apply any treatments needed to the skin and seal it all in with a moisturizer. At this step it is possible to add any finishing touches you would like – sunscreen, lip gloss, tinted moisturizer, etc. At the end of the service, the esthetician will ask how the service went to make sure it was enjoyable. She will also talk with you about any products that could be helpful in maintaining the results of your facial. She will also recommend a course of treatment moving forward depending on your skin and the results of the first treatment. Getting a facial can be daunting – especially if it is your first one ever or your first one at a new spa. By asking questions, being open and honest about your skin care routine and letting your esthetician know what other medication you may be taking you are on the right path to making your facial enjoyable and effective! If you still haven’t grabbed our coupon to save $25 off a Classic or Signature facial now is the time! The coupon expires on March 31st so download it and book your appointment now! We hope you enjoyed our little sneak peek into our facial services. If you ever have any questions or concerns when scheduling a facial at Garbo’s Salon and Spa we urge you to reach out ahead of time. You can always talk to one of our licensed estheticians or come in for a complimentary consultation to put your worries at ease. A special thank you to Katherine Bower, Esthetician and Spa Lead at Garbo’s Salon and Spa – Village Pointe for helping us with today’s article! If you would like to book an appointment with Katherine click here (choose the Village Pointe location). If you would like to see Katherine in action check out our Aveda Skin Care professional facial video below! For me, getting a facial is a treat. It is something I’ll have done when I’m on vacation or something I’ll reward myself with after hitting one of my monthly/quarterly goals. Maybe it’s the cost of a facial or maybe it’s the need to “earn” my relaxation time that forces me to think about facials this way… Whatever my excuses are, they need to be forgotten! 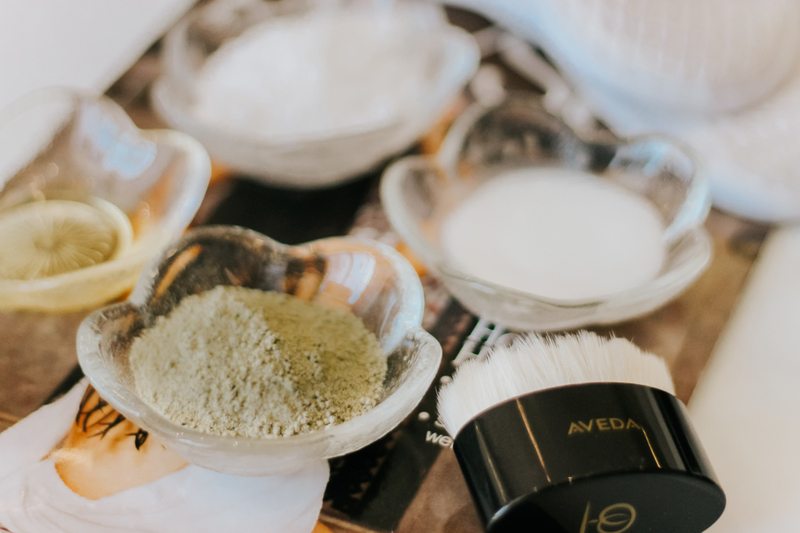 After talking with Katherine Bower, one of our talented estheticians who works at our Village Pointe location, I learned the benefits of professional facials and why we should all get them regularly. Katherine also gave me a behind the scenes look at what goes into a professional facial at Garbo’s Salon and Spa as well as a few tricks for acing your first appointment. The benefits of regular facials have a lot to do with the skin on our faces. Our facial skin is much thinner and more sensitive than the skin on the rest of our bodies. Therefore, it deserves more attention and requires a different routine and different products. Everyone’s skin is different, therefore, everyone’s facials should be as well. However, no matter what type of facial you receive the benefits remain the same. Exfoliating your skin removes dead skin cells from the surface of your face. Yes, you can exfoliate your skin at home. However, your at-home products don’t compare with what professional estheticians have access too. The use of these high-quality products helps to better remove that first layer of skin which reveals a healthy, glowing layer of skin beneath it. Professional facials help increase circulation in your skin by promoting new skin cell growth which leads to healthier and younger looking skin! Facial massages and dry brushing are both techniques the esthetician might use during your appointment to achieve this. The massage portion of your facial wasn’t added by accident. By massaging the face the esthetician increases blood flow and helps drain any excess fluid from your facial area. The spa where you receive your professional facials will most likely use some sort of aromatherapy, either in the room or on the towels while giving a facial. These aromas help to calm and relax you during the service. Our face, along with the rest of our skin, encounters so many things throughout the day – be it pollution, germs or free radicals. Those things can get into our pores and cause our skin to breakout. One of the main benefits of a facial is removing the toxins so your skin can breathe and shine. A professional esthetician will use ingredients that open up and clean your pores thus minimizing acne and other problems toxins can cause. My favorite part of a facial is the anti-aging benefits. While our skin is going to age no matter what we do, we can help it age more gracefully by being diligent in our morning and evening skincare routines and letting the professionals treat it regularly. During a professional facial, the esthetician will use products enriched with botanical extracts that can stimulate the production of collagen and help to reduce those pesky fine lines and wrinkles. In addition, these products help keep the skin hydrated and balanced which also aids in reducing fine lines and wrinkles. While the benefits of a facial are undisputed, the answer to how often you should get them is variable. It is important to talk with your esthetician about your skin goals so they can better recommend both products and a course of treatment. For those of you who are like me and have trouble scheduling facials for yourself make sure to snag our latest coupon to save $25 off a Classic or Signature facial! If you are wondering what all goes into a Classic or Signature facial make sure to tune in next week when we share our behind the scenes look at what makes a Garbo’s Salon and Spa professional facial so amazing. We’ll also be including Katherine’s tips for making your next spa experience one for the books!